You would think the president of the United States would have a plate that overflows with crises that demand his undivided attention, that he would have no time to burst out Twitter tirades railing against the “fake news” media and other imagined enemies. 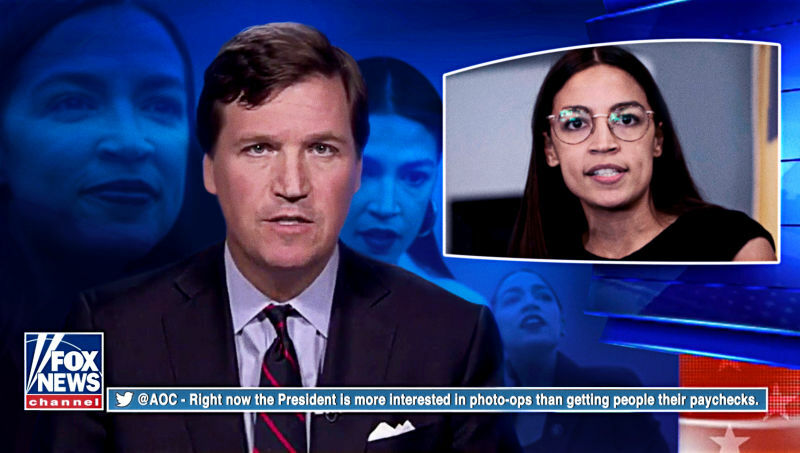 Fox condemned Pirro for remarks she made about Rep. Ilhan Omar, a Muslim elected to Congress in 2018 from Minnesota. Pirro said Omar favors teaching Sharia law in classrooms. Why? Because she wears a hijab. Fox issued a strongly worded statement condemning Pirro’s utterance. She’s been off the air for about a week. So then Donald Trump enters the fray, demanding that Fox return Pirro to the air. C’mon, Mr. President! Focus your attention — to the extent that are able — on issues that matter. A media outlet’s personnel decision is its to make. You, sir, have matters of state that should concern you. WH communications chief: worst job in D.C. I have determined that the worst job in Washington, D.C., is one that should be the most fun. It is the White House communications director. 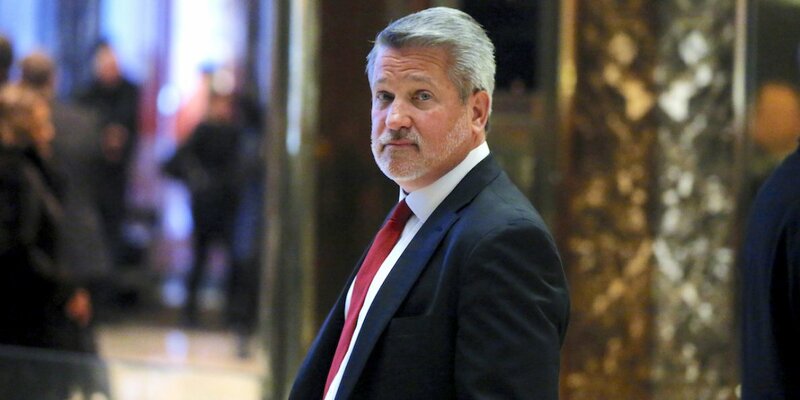 Bill Shine is leaving that post in the Donald J. Trump administration. Shine is the fifth individual to have served as communications director in the two years of Trump’s time as president. Let’s see, I can think of Hope Hicks, Anthony “The Mooch” Scaramucci . . . OK, I’ve lost track of the rest of them prior to Shine. I just know that there have been five of them. Who’s next? Who in the world would want the job? It’s being reported that Shine — a former protégé of the late Roger Ailes, the founder of Fox News — had fallen out of favor with the president in the weeks prior to his sudden resignation; he is going to work as a senior adviser to the Trump re-election campaign. I guess evidence of Shine’s lack of input into Trump’s communication strategy must rest in that hideous rambling rant the president gave a week ago at the Conservative Political Action Conference. Trump set a presidential speech record, blabbing unscripted for 2 hours, 2 minutes at CPAC. It was, to put it bluntly, a ghastly performance. Do you think Shine had any say in that demonstration of Donald Trump at his worst? I do not think so. The question then becomes: Who in the world would ever want to take on the job of managing this president’s communications strategy? This individual, the president, is unmanageable. He is incoherent and he is incorrigible. 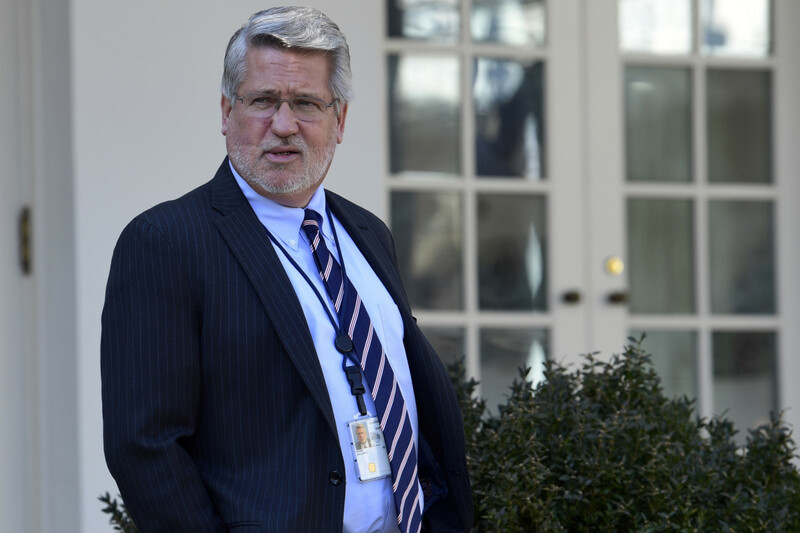 Bill Shine is gone from the White House communications office. He’s the fifth such communications director to come and go in little more than two years of the Donald Trump administration. Shine is moving to the Trump re-election campaign as a senior adviser. He gets to spend more time with his family, or so it’s been reported. As for the communications operation, well . . . this White House needs one. Badly. Bigly. Whatever. However, it doesn’t exist. It’s fair to ask: Does the president want a communications operation? He damn sure needs one, given the chaos and confusion that emanates daily — if not hourly — from the White House. Tradition has been tossed into the crapper by this president. One traditional item involves a communications office that coordinates the message being delivered by the White House. It ain’t happening with this operation. The president sends out a Twitter message communicating policy on a whim and an impulse. The communications office is caught flat-footed, unable to catch up with what Trump is saying. Shine came aboard after serving a stint as an executive with the Fox News Channel, the president’s media outlet of choice. I guess Shine’s Fox connection wasn’t enough to keep him at his new White House post for very long. The word is that Trump and Shine never really developed much of a bond. Imagine that. Near as I can tell, the president doesn’t develop personal bonds with anyone who’s not named “Trump” or who is not married to someone with a Trump name. Whatever future awaits this president, the smart money now suggests that Donald Trump well might be his own communications director. Oh . . . brother. This’ll be fun to watch. This story gives me a mild case of dyspepsia. I’ll struggle through it and suggest, though, that the Democratic National Committee is rightfully angry with the Fox News Channel. Thus, the DNC has decided that Fox News will not play host to any of the party’s presidential joint appearances scheduled for this year and next. The other major cable and broadcast networks will be allowed to present questions to the candidates during their debates. Fox, though, is out of the game. The DNC is angry over Fox’s amazing relationship with the president of the United States, Donald J. Trump. Indeed, the president himself has cozied up to the network’s prime-time and early-morning stars by showering gratuitous praise on them while denigrating and disparaging the work done by the other so-called “fake news” outlets. 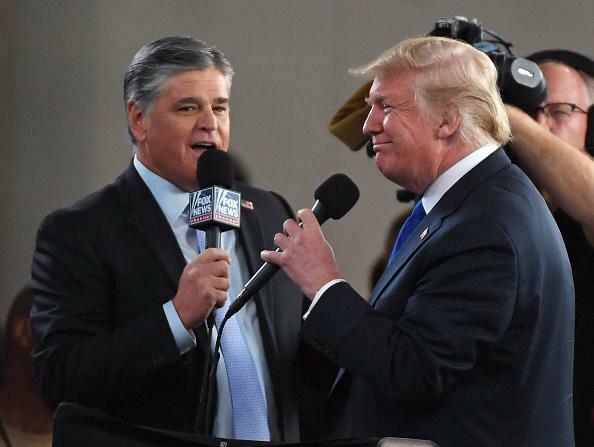 Trump has become a semi-regular guest on Sean Hannity’s talk show, allowing Hannity to slobber all over himself in praise of the president. To be honest, I find it shameful that Hannity has been allowed to grovel as he does at the president’s feet. He even took the microphone at a Trump campaign-style rally a while back, interjecting himself directly into a partisan event. “Fox & Friends,” the network’s early-morning gabfest has been shameless in its fawning over Trump. The president reciprocates to his pals, most notably Steve Doocy, one of “F&F”‘s co-hosts. DNC Chairman Tom Perez has declared that Fox has become a de facto arm of the Trump administration. 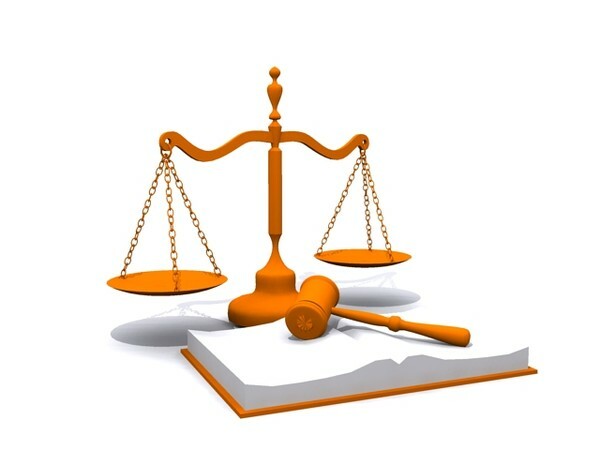 Therefore, the DNC has determined that the network cannot be a fair and impartial participant in activities relating to the Democratic Party’s presidential nominating process. I’ll acknowledge that this decision troubles me. Fox does have some first-class journalists who do good work for the network. They are being undermined and undercut by their bosses and by their colleagues at Fox who pander shamelessly at the feet of the president. My indigestion will go away over time. If only Fox would recognize the mistake it makes when it allows its on-air personalities to act as if they are on the government payroll.